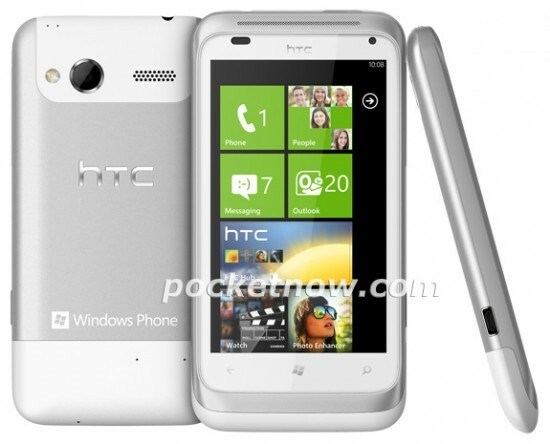 We’re quickly getting the impression that the HTC September 1st event will see at least one Windows Phone handset running Mango. Now first images of a device called the HTC Omega, possibly also called the HTC Radar, have appeared online. OK, rumoured specs mention a 3.8″ SLCD screen, 8 megapixel camera, 1.5GHz Qualcomm Snapdragon CPU, 512MB RAM and a front-facing camera too. There’s also news of a second device called the HTC Eternity too.